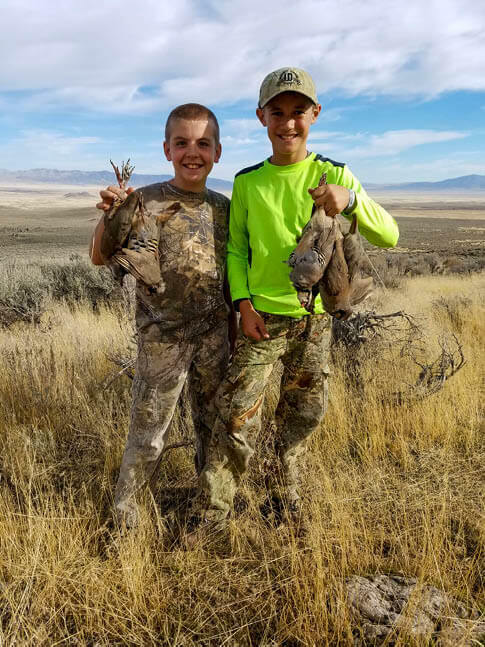 Any person 12 years of age or older, who hunts game birds or game mammals in Nevada is required to have a hunting license or combination hunting and fishing license. A hunting license is not required to hunt unprotected wild birds (English house sparrows, European starlings and Eurasian collared doves) or unprotected mammals (black-tailed jackrabbit, ring-tailed cat, badger, raccoon, coyote, skunk, weasel and ground squirrel). Laws regarding child support mandate that any person who is required by federal law to have a social security number must provide the number to obtain a business, occupational or recreational license. Federal Law – 42 U.S. Code § 666; Nevada Statute – NRS 502.063, 503.5833, 504.390. Every person required to have a license while hunting, trapping or fishing shall have that license in his possession and available for inspection. An applicant who fails to obtain a tag may obtain a refund of the fee for his hunting license if the license is not a combined hunting and fishing license and he: (a) Purchased the license solely to apply for a tag; (b) Does no hunting under the authority of the license; and (c) Submits the license to the Department on or before the last weekday of August of the year in which the license was valid. The Department shall accept the license only if it is received on or before that date. If an applicant obtains a refund pursuant to the provisions of subsection 1, the applicant will not be awarded any bonus points as provided in NAC 502.4187. Applications for the Sheldon National Wildlife Refuge Special Sage Grouse Hunt will only be accepted online this year. Paper applications will not be accepted. Applications will be accepted at ndowlicensing.com until 11 p.m. on Aug. 3, 2018. You can find more information on the hunt on Upland Game Bird, Rabbit, Dove & Crow. The Apprentice Hunter License allows anyone 12 and older to hunt upland game and migratory game birds (no tagged species) for one season without first completing Hunter Education. The apprentice must have never previously held a hunting license and always be accompanied by a mentor hunter 18 or older who holds a valid Nevada hunting license and a mentor affidavit. The license is free, but the apprentice must pay associated fees and purchase any applicable stamps. The license is only available at NDOW offices.